Until last year, I had never read much of Corneille. I did so, finally, so that I could review Richard Wilbur’s recent translation of Le Cid, which appeared last summer in the same volume with his translation of Corneille’s best known comedy, The Liar. Not wanting to find myself pontificating on a subject I knew little about, I thought it would be a good idea to read more than just the two plays in question. So over the past year or so I’ve read a good deal of him, and the more I read the less able I feel to sum him up in any adequate way. He’s a much larger figure than I had imagined. 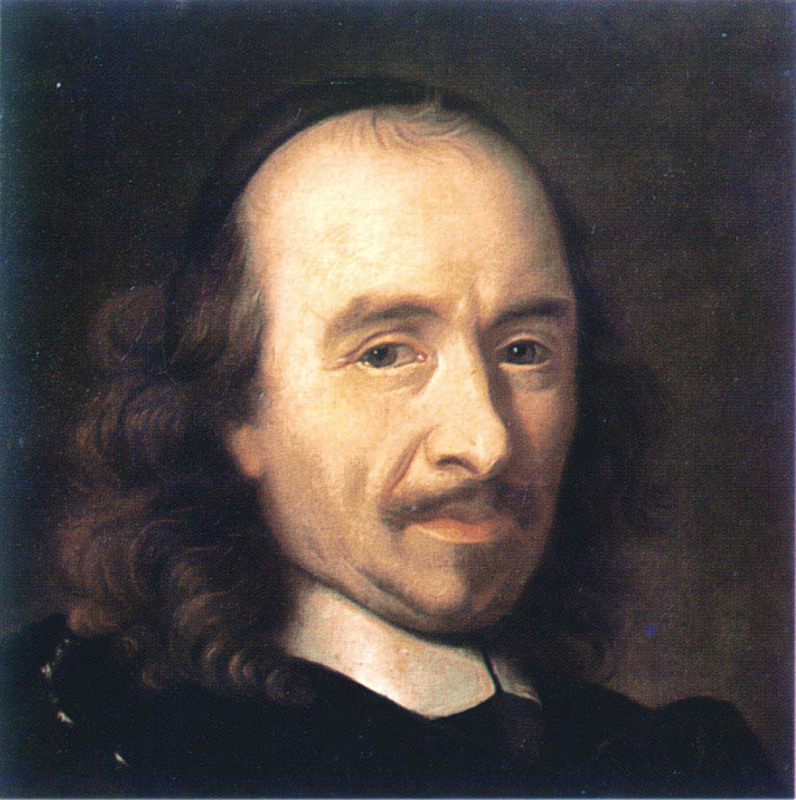 Besides his four major tragedies, which were the model for Racine’s, and The Liar, which Molière acknowledged as an important influence on his own comedies, he wrote many other tragedies, comedies and tragicomedies, and collaborated on a tragédie-ballet, Psyché, with Molière, Quinault, and Lully. One early work that stands out is L’Illusion comique, a wonderful, unclassifiable piece that has in recent years had more appeal to the English-speaking theatrical world than any of his other works. Tony Kushner adapted it for one of his early plays, and Wilbur published a fine translation of it, as The Theatre of Illusion, in 2007 – his first Corneille. But of his tragedies, it is the four he wrote in his early thirties, Le Cid, Horace, Cinna, and Polyeucte, that mostly still get played in France, and of these, only the first has any currency at all in the English-speaking theatre. That play certainly deserves its reputation. Still, it might have been better for Corneille’s if another one of the four, all just as extraordinary in their own very different ways, had been given the role—since only one seems to be available—of representing his tragic muse to a foreign posterity. To generations that have endured it in mediocre translations, having read the solemn introductions that drone on about the quintessential Corneillean conflict of Love and Honor, few things could be more tiresome than this play. We are to understand, those introductions seem to tell us, that where in Racine we find an acute psychologist who understood all the unruliness of human passion, in Corneille we find the high-minded moralist, whose sympathies will always go to those who can stifle passion at the merest hint that Duty or Honor requires it. Corneille certainly did admire self-abnegation. But to conclude that he had no understanding of or sympathy for passion would hardly be fair. The whole effect of Le Cid depends on it; Corneille explicitly says, in his examen to the play, that his hero and heroine both perform their duty (represented not as shining and pure but as inconceivably awful) without giving up any of their passion for each other. This is what makes it moving. At least when conveyed in Corneille’s own language. Honor is hardly the simple value, certainly not in this play, that it’s often represented as being in Corneille’s works generally. There’s a reason, beyond the color it lends, that the play is set in Spain. Even at this time Spain was considered a throwback in its strict adherence to the gentleman’s code. Corneille clearly finds something to admire in it, but he also sees the disasters that, unrestrained, it can lead to. Chimène’s father, the Count, is passed over for a position of honor at court in favor of the father of Rodrigue, the much older Don Diègue. Both have led armies, and served the crown with distinction. But when the Count, after they quarrel, slaps Don Diègue, the older man is unable to defend himself, and calls on his son to avenge him. Before that happens, the king’s men urge the Count to apologize. He privately admits to being at fault, but his “honor” won’t permit a public apology. He is not a villain, but a man whose wounded pride leads him into a shocking disregard for the dignity of others. What ensues—Rodrigue fights and kills the father of his beloved; she, though continuing to love him, calls for his head, which he, in despair, is ready to grant her—is what most remember about the play. It can all seem faintly ridiculous if one loses sight of the whole background that Corneille has so carefully drawn. That includes not only the character of the Count, but that of the king, storm-tossed by all these unruly hidalgos but determined to forge a kingdom out of them, the infanta, whose overcoming of her own passion for Rodrigue serves as both model and contrast to what Chimène must do, and the ongoing war with the Moors, which repeatedly cuts short and overwhelms the private concerns of the characters. It’s been said before that Corneille is one of the great political playwrights. That’s certainly true, if you mean political in the sense that Shakespeare is political in his histories and his Roman plays, rather than in the current, limited sense of “speaking truth to power.” Both he and Shakespeare have an acute sense of how power operates when it involves the impurities of actual human souls, as opposed to the monsters and paragons that modern political theatre deals in. But what’s particularly striking about Corneille is his ability to imagine very distinct societies, with values different from his own and from each other, and the kind of “culture clash” that can arise between them, or within one society that finds itself struggling to become something different. So, immediately after portraying the medieval warrior culture of Le Cid as it struggles to become a stable monarchy, he shows us, in Horace, representatives of two ancient societies, early Rome and Alba Longa, both martial and proud, but one with the added edge of ruthlessness and fanatic patriotism that will eventually make it prevail, devouring its most generous souls in the process. Then, in Cinna, that same Rome centuries later, passing from Republic to Empire, with a compelling portrait of the emperor Augustus, past master of that same ruthlessness and fanaticism, who finds a new power in his ability to forgo them, spare those who betrayed him, and make friends of his enemies. And finally (and most astounding, in my opinion), in Polyeucte he shows the Roman world as it moves from paganism to Christianity, and despite his own clearly positive view of that development, manages to convey how utterly strange and baffling the new religion, with its thirst for martyrdom and abandonment of all worldly prudence in human relations, must have seemed to the sophisticated pagans of old Rome. If the descriptions make it sound faintly like ethnography or potted history, it is neither: it’s pure imagination, pure poetry. That is, if by poetry we mean a language absolutely adjusted to its ends. To English speakers, who have always thought anything called poetry has to have a bit of mystification in it, that sounds like rhetoric, not poetry. But the French classical tradition fused the two, and Corneille was the first to do it. Nowhere is there any intent to mystify; the power and sonority of the verse, and its uncanny ability to illumine a whole world, is mystery enough. Which brings us back to the matter of translation. I don’t know if I’ll manage to write a formal review of Wilbur’s Le Cid. I’m not sure how much I can find to say about it that I didn’t say long ago in regard to his Racine translations, Andromache and Phaedra. Here he has taken the same approach that he did there: translate thought for thought, line for line when possible, couplet for couplet when not, following each innuendo, each shift in attention, each reiteration and afterthought, so that the character’s every mouvement d’âme will be revealed, if not on first reading, then as soon as you attempt to actually play the lines, or imagine how they might be played. And let the sonority take care of itself. In that regard, some loss is inevitable. Wilbur’s translated lines are never going to impress themselves on the mind the way Corneille’s do. But they are the only ones I have seen that faithfully follow their contours. And they are thoroughly speakable. If English-speaking acting companies want to make this play do anything resembling what it does in French, they would do well to use this translation. They should also read Wilbur’s introduction, which is as pertinent and concise as its predecessors. He is particularly good on the uncertain resolution of the play: it seems doubtful that Chimène will ever, despite her love for Rodrigue, recover from the ordeal that an unforgiving code has imposed upon them both, or ever be happy even if, as the king wishes, she eventually does marry Rodrigue. It’s the kind of delicacy you find everywhere in Corneille, but it can easily get lost under all the talk of honor and glory. As to Wilbur’s translation of The Liar, there need be no reservations: it has all the wit and fidelity of his Molière versions, and should prove just as playable. Regrettably, even those seem to be less popular than they used to be. That reflects less on their quality than it does on the declining taste of Off-Broadway and regional theatre, not to mention the West End, where real verse translations, as opposed to adaptations, have become virtually extinct. There’s plenty more to say about Corneille. Of the 19 plays he wrote after Polyeucte, the majority were tragedies. A few have had a reputation not far short of the great four, but beginning in his later years, and for many years after his death, the consensus was that his work suffered a long decline in quality. The influence of Voltaire, who found great fault with all the later work, cemented this opinion, though there have always been dissenters. What’s not in dispute is that his work changed character; he didn’t simply repeat himself. In the later works honor and generosity, though still present, seem more and more beleaguered in the darker, more intractable worlds he increasingly imagines. The verse is no longer all clarity and light; shadows and enigmas begin to appear. The hero of his last play, Suréna, wins the enmity of his sovereign by doing him good, and leaving him no means of rewarding him. His reward finally comes in the long arc of the arrow, shot by an unknown hand, that ends his life. You are currently reading Corneille the Not-Quite-Forgotten at Spoken and Sung.